Just a quick post/review on a pattern that I bought recently called the Kracken Shawl. I started following Two Hearts Crochet a while back when a crochet friend of mine started making the c2c princess squares. 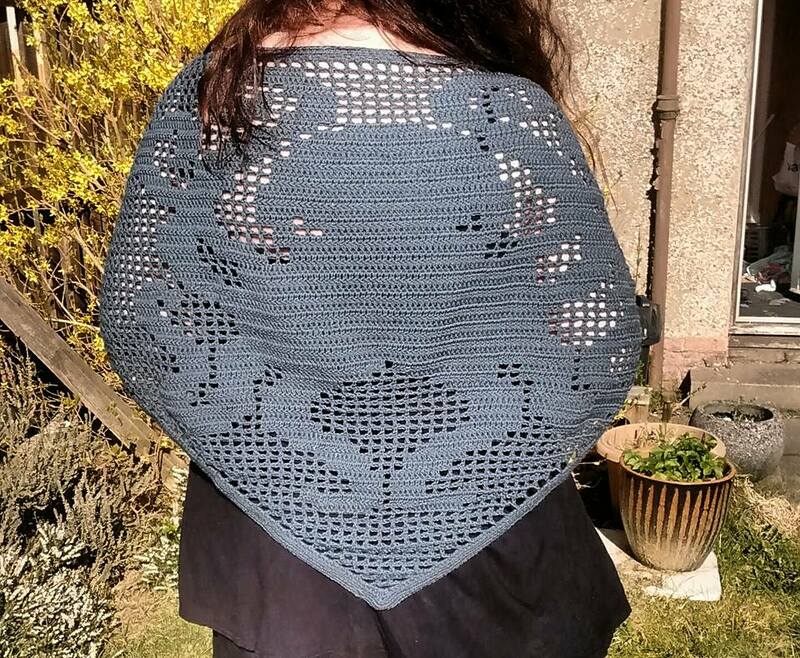 When I first saw the Kracken Shawl I was instantly inspired to make one because cephalopods are amazing, clever wee beasties. Also it reminds me of Cthulhu and Lovecraftian horror which is always a big bonus. So I purchased the pattern in April. Two weeks later, it was completed! The instructions and graph were easy to follow. It shouldn’t have taken me two weeks, but unfortunately I had to rip out my stitches enough times to literally make a whole other shawl! (my own fault) If even one stitch is missed it throws everything off, so wanting to make it perfect, I did a lot of pulling back my work. The pattern was also a really good introduction to this sort of crochet technique using boxes to create a picture and it’s absolutely simple enough for a beginner to complete, so not intimidating at all. I am looking forward to eventually applying the same techniques to a design of my own creation someday. I printed out the graph and crossed out the lines as I did them with a highlighter as there was no other way of counting rows that my eyeballs would have coped with.